Harrisons of Greyabbey has recently added a new function room showing that innovation is the key to success. Cited as one of the most beautiful restaurants with a view, customers travel from all across the providence to visit Harrisons of Greyabbey for its local fare, expertly grown nursery, gift shop, and spectacular surroundings. The Harrison family who own Harrisons of Greyabbey find it hard to believe that this whirlwind of an adventure only began six years ago. 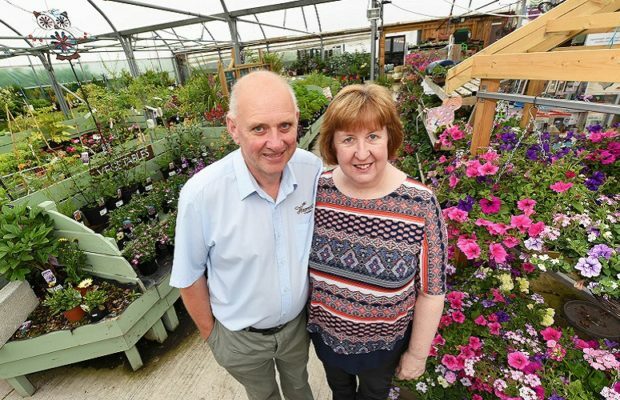 Helen is joined in the business by her husband David as well as sons Andrew and William and believes that being a close-knit family run business is what sets this garden centre apart from the crowd. “We are always driving the business on and constantly thinking of new ideas to be innovative and offer our customers the best possible service,” she says. Each member of the family has a different area of expertise, but it is their ability to know their own individual strengths while working together as a team that really makes this concept work. David, who has been in farming all of his life, takes the lead role in the garden centre bringing in all of his own plants and is assisted by Andrew who also runs the shop. 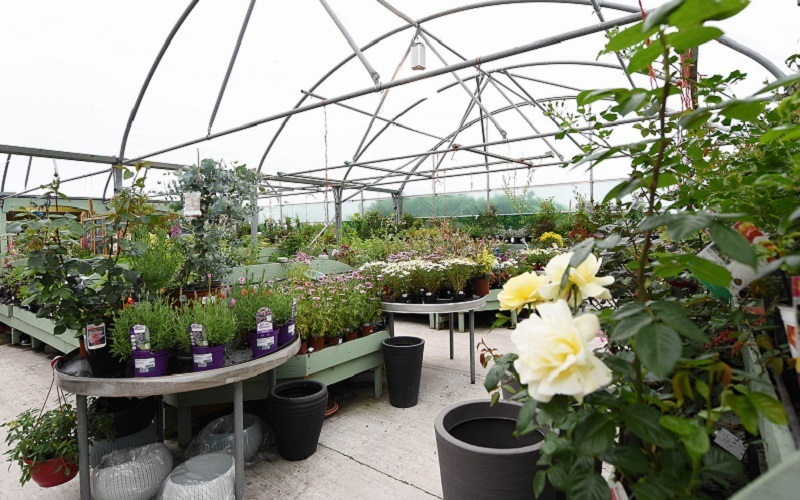 “David diversified into growing plants for the nursery 10 years ago. Within a few years it really escalated and now his plants are renowned throughout the area,” says Helen. The restaurant and shop concept were added on by customer demand. 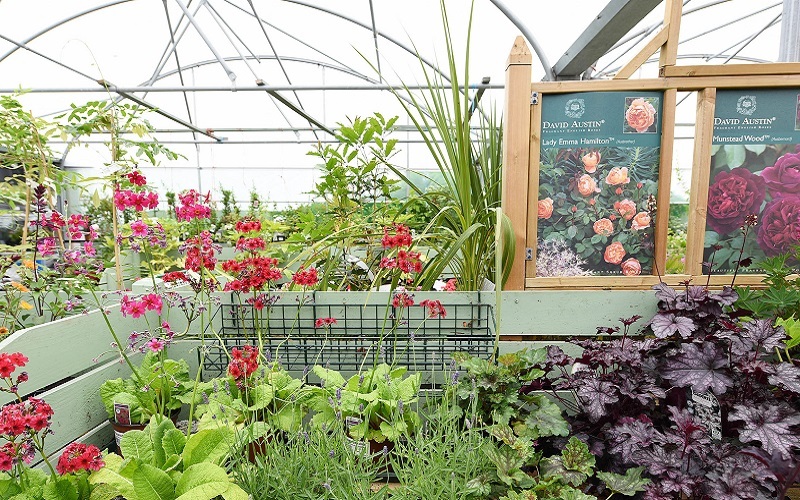 “When customers were in buying their plants they were asking for a tearoom because we probably have one of the best views in Northern Ireland of Strangford Lough,” says Helen. After some thought, an architect was appointed, and Harrisons of Greyabbey as we know it today was born. The nursery started off with an attached farm shop but over time has evolved into a gift shop due to customer preference. All business owners recognise that some concepts suit their market more than others, and the Harrison’s found that their core customer base were looking for a unique selection of cards and gifts rather than traditional farm shop fare. Although, visitors can still find acknowledgements within the shop to the previous set up in the form of homemade bakery items including traybakes, cakes, tarts, and their famous wheaten bread. Helen, who is involved in the buying for the store, reveals that customers often compliment the exclusivity of the products on offer stating that they can’t find similar selections available elsewhere. In addition to the shop and nursery, Harrisons of Greyabbey is well known for its restaurant which Helen and her son William oversee. The recent addition of afternoon tea to the menu has been received well by the restaurant’s core customers. “We built the function room last year and wanted something different to go with it,” says Helen. “We spent a lot of time researching afternoon teas because if we were going to do it, we wanted to do it right. Our theme is Alice in Wonderland tea party and we have all the cups and crockery to match. A lot of people say it is the best afternoon tea that they have ever had and I think we have the winning formula for it.” Served Monday-Friday, the Alice in Wonderland afternoon tea is comprised of finger sandwiches, cups of soup, sweets and traybakes not available on the main menu, paired with a selection of loose leaf tea. All food served in the restaurant is made fresh from local products. 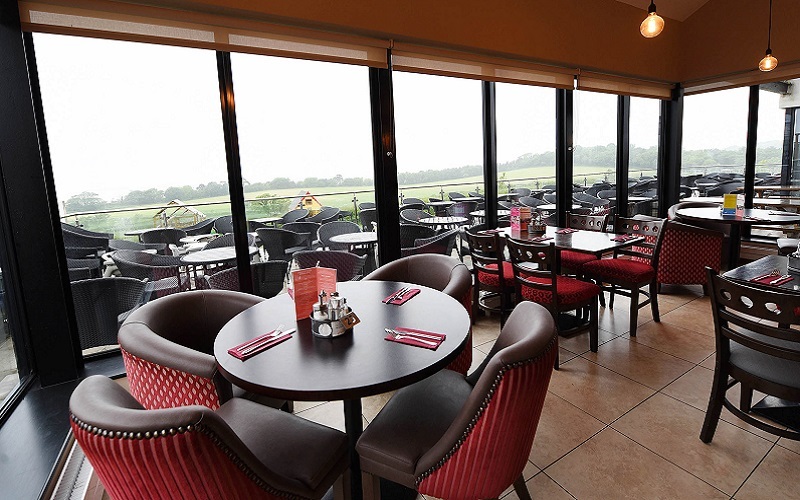 “We have a vast menu that appeals to everyone and we are child friendly. We have children’s play area which the kids love,” says Helen.